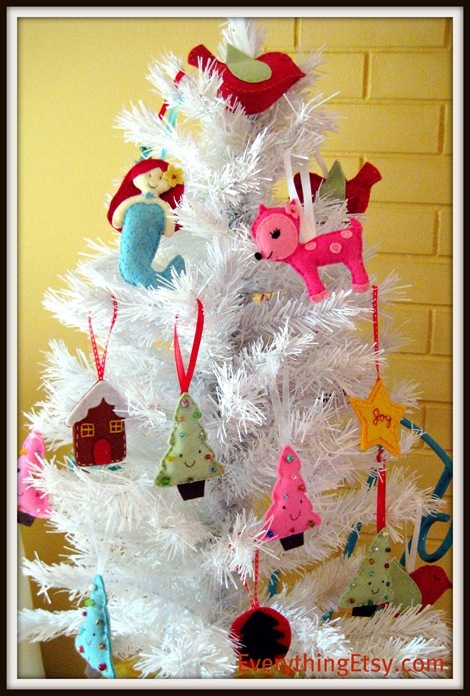 This year I decided to decorate a small Christmas tree with some sweet little hand stitched felt ornaments. I’m even making some to top off gifts, and they’re always great to mail to friends during the holidays. I sent out three today! I planning to add a bit of felt garland, but I thought I’d share it with you before I forgot to take photos. I can be an airhead sometimes! This is a lovely little mermaid that I’ll be selling a pattern for real soon. 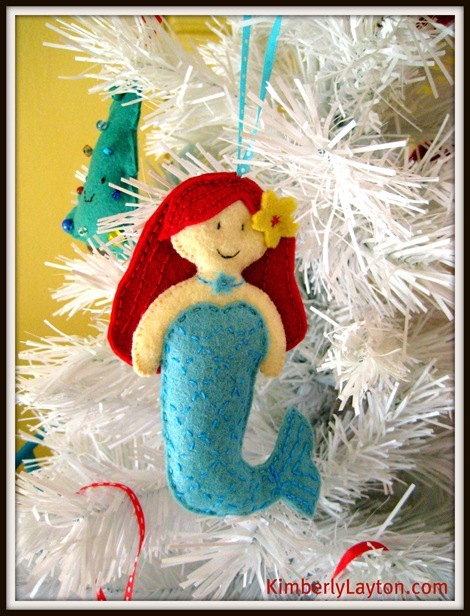 She would look great on a tree with shells and other coastal treasures. My mom has her tree all beachy this year and it’s beautiful. I always have a traditional tree with cool ornaments from all our trips. Christmas trees are just awesome, don’t you think?! The gingerbread house pattern can be found in my felt book, From Felt to Fabulous. There’s a few other ornament patterns in there to put you in the holiday spirit. Isn’t the tree cute? I love it in green but I made a few other colors to jazz things up a bit. 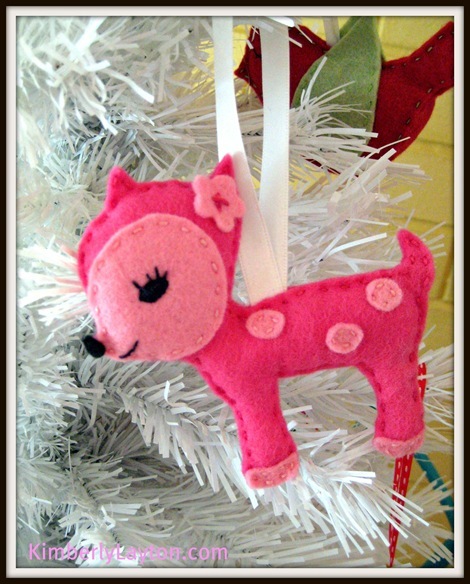 I’ve always loved this little Dottie Deer ornament. You can find the pattern for her and a sweet stuffie version here. 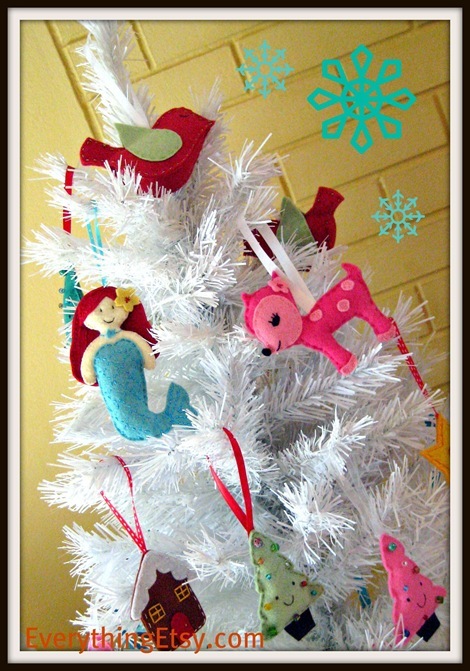 Everyone needs a pink deer on their tree!!! If you need some beautiful wool felt, check out KimberlyLayton.com! 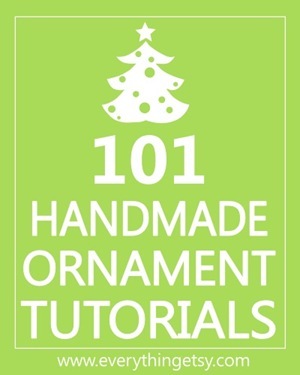 101 Handmade Ornament Tutorials…have fun! Have you made any ornaments this year??? I’d love to hear about them. Of course, I make button ornaments but felt ones may be on the list for next year now that I have received your fabulous new book. It looks wonderful and will be #1 on my to-do pile for “ME” time after the holidays….if I can control myself. Thank you,Kim! I just completely adore that tree ornament! So stinkin cute! Kim, your deer is adorable! That is such a pretty looking tree. 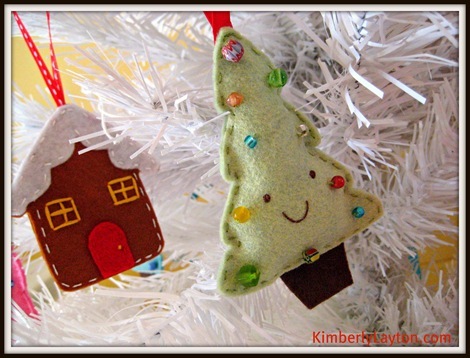 I am also a great fan of felt and looking to make ornaments for my tree at home. Definitely more than a few neat ideas here. Thank you for sharing. I’ve been making felt Jesse Tree Ornaments this Advent season. And, I’m still making them – already starting on Advent 2012. Love, love, love these!! Can’t wait to get the mermaid pattern! 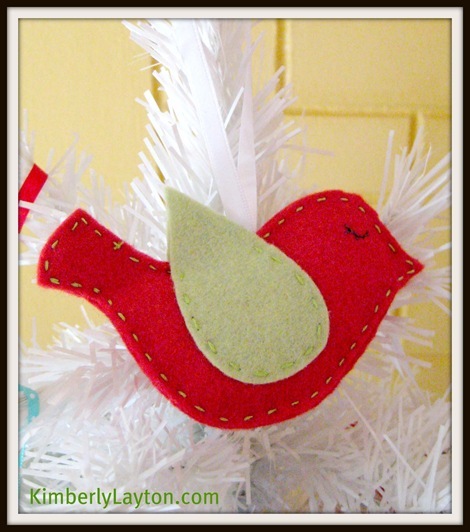 Does any have the patterns for the 12 days of Christmas felt ornaments ?